What Should Be On Your Smartphone or Tablet? 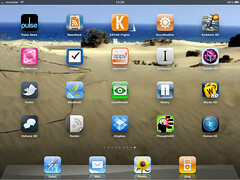 MyCase Blog Home » Best Apps for Lawyers: What Should Be On Your Smartphone or Tablet? What are the best apps for lawyers? What apps should you have on your smartphone? Your tablet? Lawyers love their mobile devices. Don’t believe me? Then review the statistics from my post last July (iPad Statistics, Resources, and Apps for Lawyers) which indicate that lawyers’ use of tablets is doubling every year and that nearly 90% of lawyers now use smartphones in their law practices. Because so many lawyers are using smart phones and tablets, the number of apps developed for lawyers is likewise increasing, with new ones being released all the time. So I figured it was high time that I covered some of the newest & best apps for lawyers, since my list from last July is already outdated. TouchTax is an multi-platform app which provides up-to-date access to to all sections of the latest edition of the Internal Revenue Code of 1986, as amended (the Code), the Treasury Regulations set forth in Title 26 of the Code of Federal Regulations (the Regulations) and the Internal Revenue Bulletin (starting with July 2003). For the iPad or iPhone the app costs $5.99, for Android devices it’s $1.99, and for the Blackberry Playbook, it’s $0.99. A free version of TouchTax (tax code and regulations only) is also available for Windows Phones (click here). MobiLit is an iPad presentation app designed to allow lawyers to store, organize, annotate and display documents and images, whether in the courtroom or elsewhere. It’s available in the App Store for $9.99. Another iPad app designed to facilitate document viewing is Legal Viewer. This app makes it easy to view and annotate hyperlinked PDF ebriefs on the iPad. It’s available in the App Store for $4.99. Another document management app is ClientFile. Using ClientFile you can upload, organize, annotate, store, and present PDF documents and images to your iPad. It also includes audio and video players. It’s available in the App Store for $49.99. TapNotes is an iPad app that many lawyers will find useful. It makes it easy to record meetings or interviews and to highlight sections of the audio for later review as it’s being recorded. It’s available for $2.99 at the App Store. Picture It Settled is a legal software program developed to aid lawyers during negotiations by suggesting negotiation strategies that is currently available in the App Store as a free iPhone and iPad. app. The plan is to eventually charge for use of the app, however, so if it sounds interesting, now’s the time to try it. Finally, there’s RuleBook, an app available for iPhones and iPads that makes the federal and state rules, along with the Bluebook rules, readily available on your iDevice. The rules are automatically updated as they change. This app can be downloaded for free in the App Store. So there you have it–a list of some of the newer legal apps available to assist lawyers in the day-to-day practice of law. And, as I mentioned before, check out my post from last July for a list of many of the other legal apps available. What apps do you have installed on your smartphone or table? Which apps do you use the most? What do you think are the best apps for lawyers? Let us know in the comments below. Thank you for the post but … when can we expect a functional app for MC? The current one doesn’t cut it. We need one to schedule appointments, add and update tasks, view docs, have some IM maybe. Thanks for your comment. Mobile app development and increased functionality is definitely on our development radar. We’ll be sure to make note of your request in this regard and will keep you update on our progress. Thanks again!